Life's Tips and Tricks: It’s Christmas! So, it's Christmas time, and I’m getting excited with less than two months to go! If you are a pet owner, like me, this can be a very exciting excuse to spoil your dog rotten! I love my dog and he seems to love Christmas, too – the look of anticipation on his little face when we wake up in the morning and present him with his little sack of gifts from Santa Paws. The excitement builds further as he comes flying down the stairs to see more wrapping paper to chew up under the tree, only to find that inside that wrapping paper are even more toys and treats! However, if you are as crazy as me about buying presents for your little munchkin, you may also find that your high street just lacks in appealing gift ideas that you haven’t already given them the previous year. That’s where VioVet comes in! 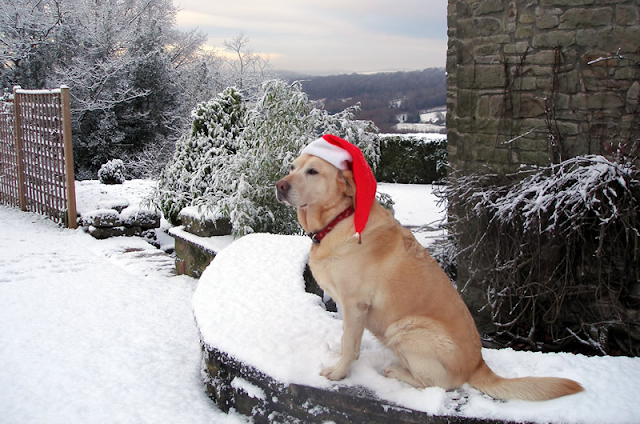 If it’s Christmas gifts for your pet that you’re looking for, you need not look any further. My favourite product are the Hug Tugz Merry Dude tug toys, I absolutely love these. They are so cute and they come in three different styles – a reindeer, snowman, or Father Christmas himself. The main body of the product is made of soft cuddly material, whilst the rope limbs are perfect for rough play – which I’m sure your dog will love, I know mine does! And if you decide you would rather buy toys that aren’t occasion specific, you could always chose from the regular range of dog toys. And don’t forget, at this time of year, you want your dog to be with you to share in the fun, and this may mean letting them enter areas of the house that they are usually not allowed in to. If this is the case, make sure that you stock up on pet hair removers – the quicker you clean the surface your dog has made fluffy, the less chance there is of it becoming ground into the fabrics, so you can still have a lovely, clean home! Lucio would be definitely delighted to receive extra stuff this coming Christmas! I love this theme. Even though they are dogs they also love to have gits. I didn’t have an idea like this. So thank you. Definitely I will surprise my dog sure for this Christmas. By the way your dog looks so cute.